Longitude is a way to say where a place is on the Earth. It is measured starting from an imaginary north-south line called the Prime Meridian. 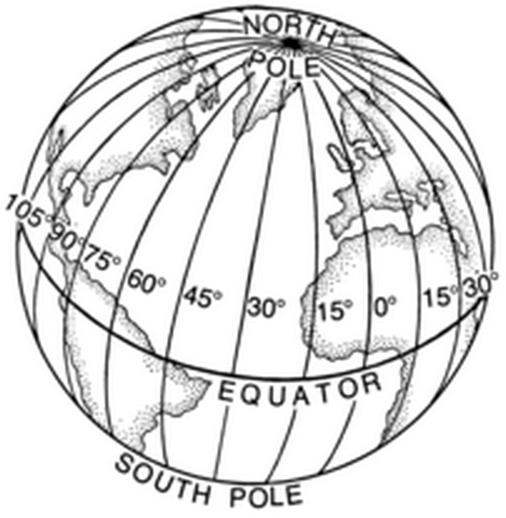 (A meridian is an imaginary line drawn from the North Pole to the South Pole.) Longitude says how far east or west of the Prime Meridian any place is. Longitude is measured using degrees, the same way an angle is. 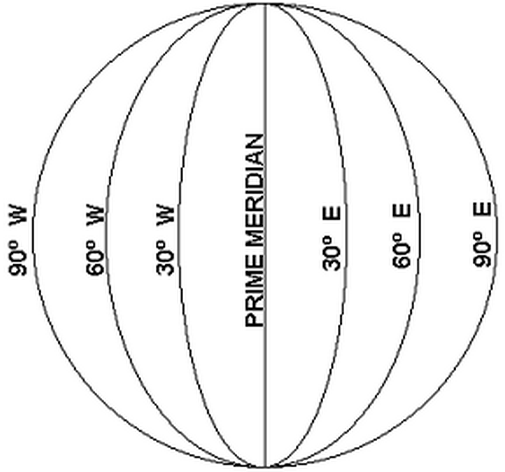 The Prime Meridian is 0° (zero degrees), and the farthest away is +180° eastward and -180° westward.